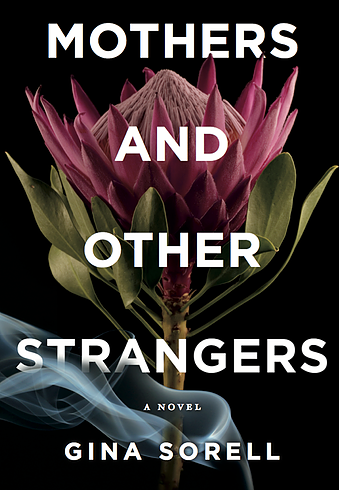 Gina Sorell is the author of the new novel Mothers and Other Strangers. She spent two decades as an actor, and is a creative director of the branding firm Eat My Words. She lives in Toronto. Q: How did you come up with the idea for Mothers and Other Strangers, and for your main character, Elsie? A: I've always ben obsessed with identity and the idea of belonging. And I've always been fascinated by people's recollections of their own lives and how we edit our own personal histories to serve our own purposes. I wanted to write about that and about family and secrets, and the lies we tell when the truth is too much. Elsie is familiar to me; a complicated woman who has survived a cold and distant parent that hasn't nurtured them. And yet, she is someone whose capacity for love and a desire for a happier life, compels her to try and understand what shaped her mother and created her failings. She does this in an effort to not only move on and heal, but also out of a genuine desire to have some sort of relationship with her mother. My own mother is amazing, thankfully. But I know of many people who were not so fortunate. A: I didn't know how it would end, but that was part of the thrill for me as I as writing it. And yes, there were many, many changes. But that's all part of shaping the story. A: I named the novel, and for me it was really this idea that your mother can be a stranger to you. A: I adore Caroline Leavitt's work, her ability to create these complicated characters and worlds that I get completely swept up in. And I love the way Elizabeth Brundage writes so sparingly, and yet says so much, it's haunting and exquisite. And I loved all of Robert Eversz' Nina Zero series; the characters and dialogue and pacing had me eagerly turning the pages. There are so many wonderful writers and I'm always discovering more! A: I'm working on a new novel that also deals with identity and belonging, but this one also deals with class and entitlement...and secrets. I love secrets, and the hidden truths behind them. A: I'm so grateful to be a published author at last, and can not thank readers enough for their support.